I've been planning a layout using these photos for a while. That's my youngest when he was three years old. He chose that yellow bicycle (Spider Man pattern on it), the pink helmet (his favorite color), and teeny water bottle (tiny version of dad's). Since we had struggled teaching our older kids how to ride bikes, my husband decided that we shouldn't even attach the training wheels. Apparently, that was not a problem for the Littlest. Two weekends of riding down the side slope of our house, and boom, he was riding that two-wheeler on his own. I was seven when I learned. Whose kid is this?!?! The stamp sets I used for this are: Hello Flair, Matter of Time, and Kinda Wonderful. I used a combo of dye and pigment inks. On the photo (matte paper), I used pigment ink. I find that pigment ink works better with matte photo papers. And that is it! Thanks for coming by today. Hope you have a great week! Hey, y'all! I'm blogging at Your Everyday Stamps. More info on the YES blog. Thanks for dropping by! Hey, y'all! I'm back with another Lawn Fawn Inspiration Week project. 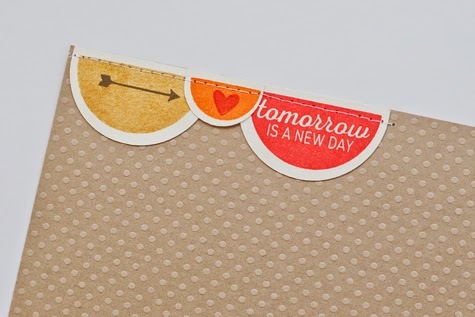 This one uses the Pint-Sized Patterns: Beachside papers and Stuck On You dies (it has a matching stamp set). I just love blue and orange together. Ah, complementary colors. 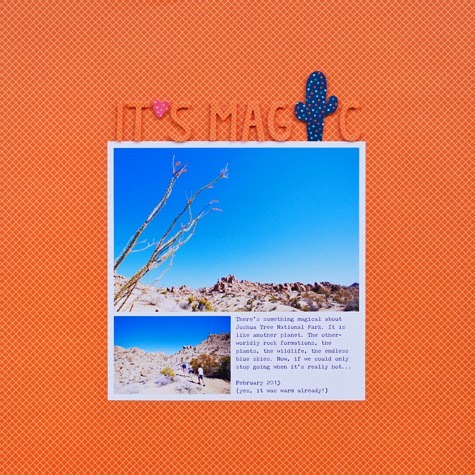 The heart and cactus are from Stuck On You. The alpha die set is called Finley's ABC. My fave! The location is Joshua Tree National Park. If you've never been, add it to your bucket list. A total must! (Tip: go during winter and stay late for stargazing.) But for now, head on over to the Lawn Fawn blog and leave comments on this week's posts for chances to win the new stuff. Thanks for coming by! Lawn Fawn is hosting its monthly inspiration week right now. And here is one of my contributions to the week. 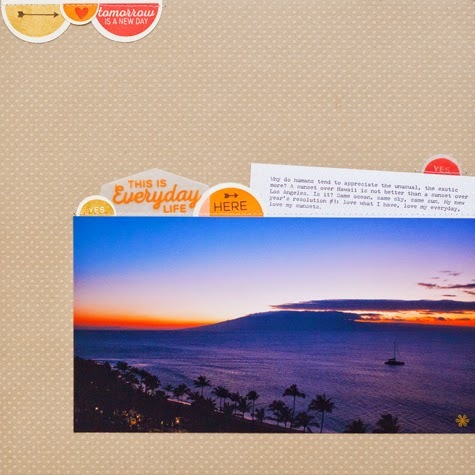 A pint-sized layout (6x6) using the new Pint-Sized Patterns: Beachside papers. Love love love how scrapable they are! 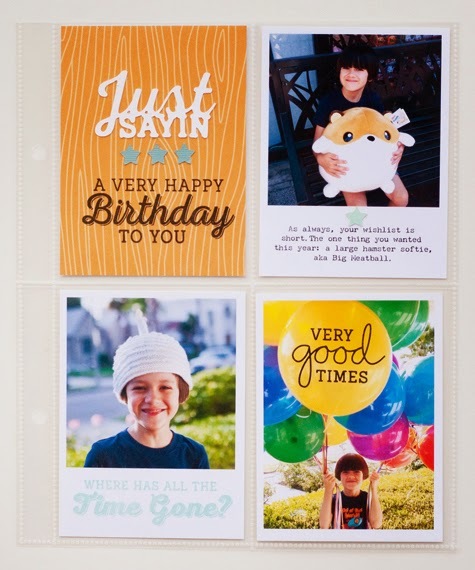 I know... that's not a word, but the papers are just so awesome for scrapbooking! And truly great for card making too. I have always loved the smaller patterns on the B-side of papers more, and this is a whole line filled with them. The colors are pretty fab too. 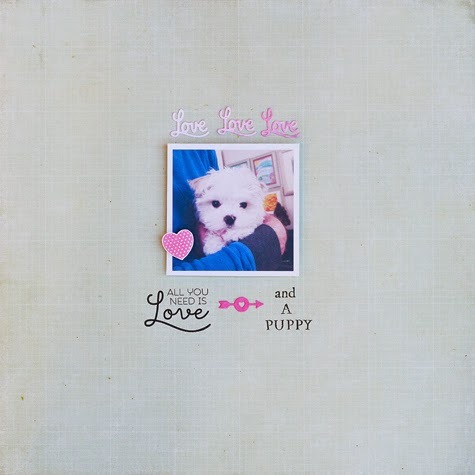 For this layout, I used a combo of the 12x12 sheets and the petite paper pack. Please ignore the bad grammar and possible typos. I forgot to proofread it before I printed it. Adds a certain level of charm? Uh... no. I printed the journaling directly onto matte photo paper. 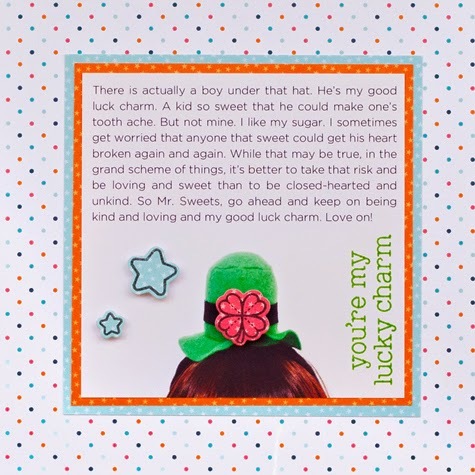 I used an Instagram photo of my youngest sporting a leprechaun hat. Well, more like I forced him to wear it. But he was a good sport about it. Kinda. And added the die cuts with pop up dots. The title is from the same stamp set and I used Lawn Fawn Freshly Cut Grass ink. And that's my story. 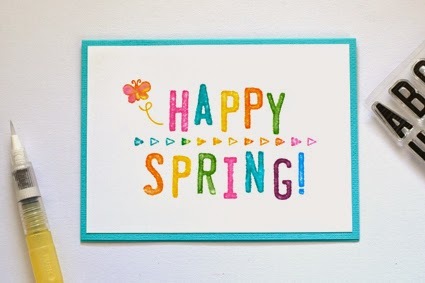 Don't forget to come by tomorrow for another project, and do go by Lawn Fawn's blog today and leave a comment to win new goodies! Hey, y'all! 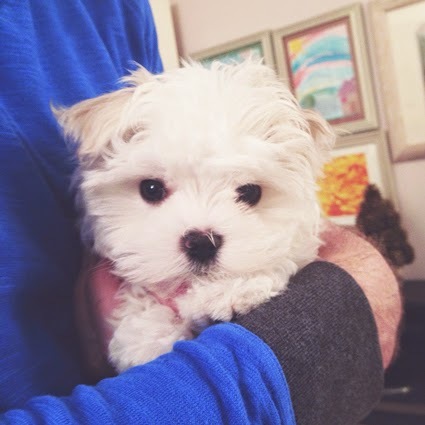 My brother and his wife have this new puppy: a fluffy white 2.5 lbs Maltese named Luigi (first dog is Yoshi, I really thought this one should be Mario. My brother thought it should be Bowser, but it technically belongs to the SIL and she was not taking suggestions. Harumpf!) When I was visiting them around the holidays, I could not get enough of Lui. Like all babies, he wanted lots of attention, to play, and to nap. Oh, and to poop and pee. Did I mention that he wasn't house trained yet, and that we had him at my mom and dad's house? And that my mom is a clean freak? And that there were many accidents? He's not my mom's favorite right now. But back to cuteness overload. If you follow me on Instagram, you've seen this photo. The "loves" on top and the arrow were from the die set, watercolored with these awesome crayons. The heart was stamped and cut out by hand. I all kinds of love the combo of light turquoise-y blue with pink. And I love that little fur face. How about one last cute photo? Here he is being "forced" into a snowman suit. Poor creature. My husband wanted to get him a warm jacket, but they didn't have anything small enough for Lui. 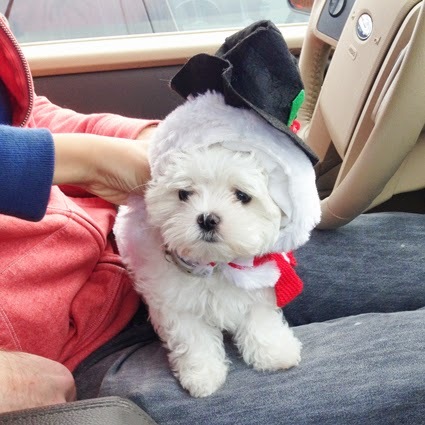 The one thing that would fit him was a snowman suit, which Lui hated. I mean, HATED! Can you tell? Every time, he wore it, he'd try to shake it off so hard, he'd do a flip. Poor pup. By the way, Luigi is almost 3lbs now! Monster-size dog! Ha! 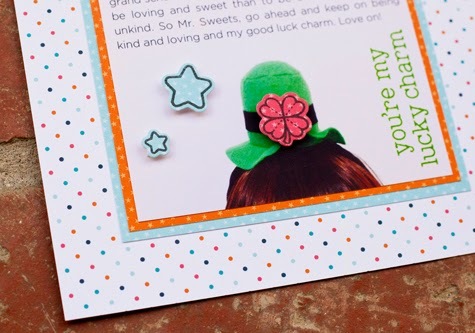 Hey, Crafty Friends! You know when your craft supply order comes in and you are itching to create? Last week, I got my new Technique Tuesday stamps on the same day as my order with Distress Inks. 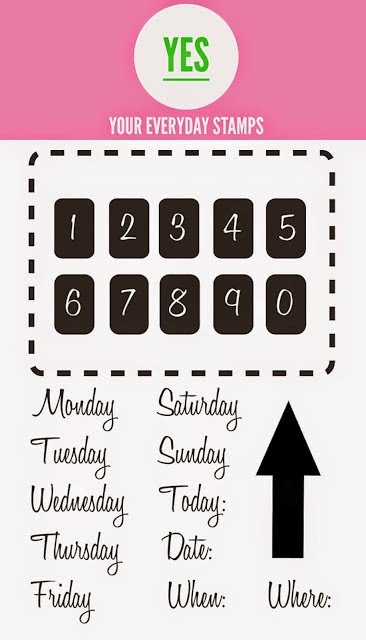 Best day of the week! 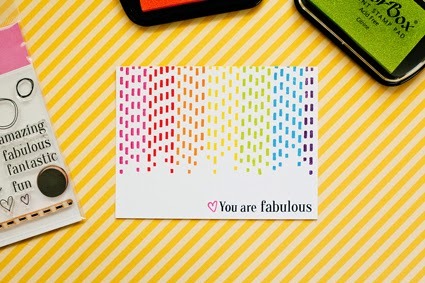 When you first stamp with Distress Inks, the look is blotchy and unlike dye inks, it stays blotchy. I love that splotchy look, but I ended up going over the stamped images with a water brush. The water makes the ink spread out a bit, and gives it a more watercolor-y look, which I love. The other stamps I used are part of the Smile Borders (triangles) and Love Bug Jar (butterfly) sets. 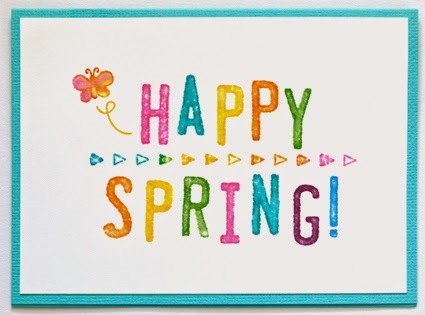 This card is fast and easy to make. 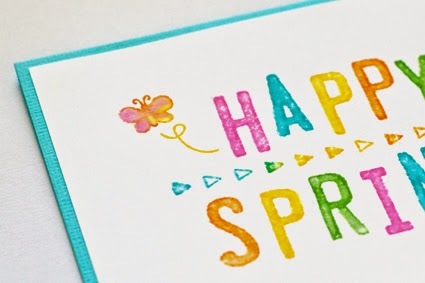 I love the end result, it's so colorful and cheery! 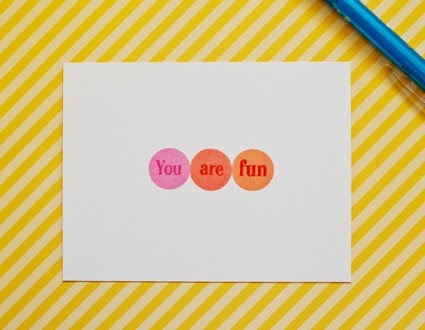 My dear friend Ashley Harris started a stamp company called Your Everyday Stamps or YES. Clever, right? 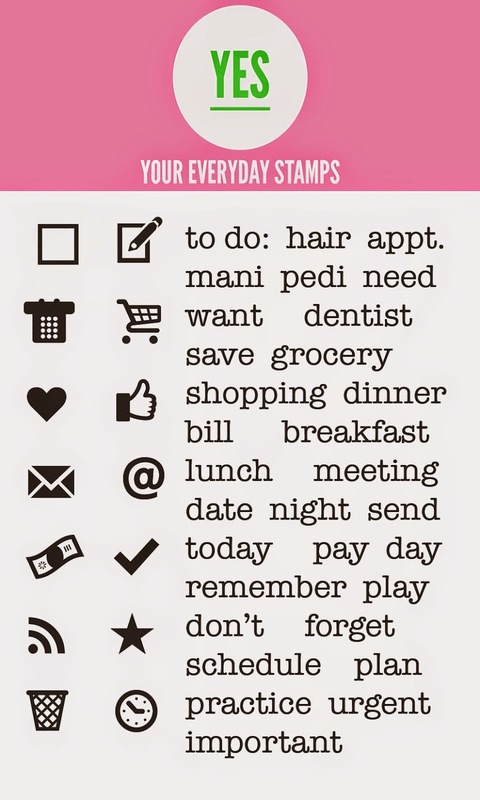 YES stamps are exactly what their name implies: not just for special occasions, but for everyday use. And what's big right now? Planners! Everyone is really into planners, organizing and decorating them. YES has some seriously useful and cute planner sets. Check this one out! So good! Well, then use them for cards/layouts/pocket scrapbooking. 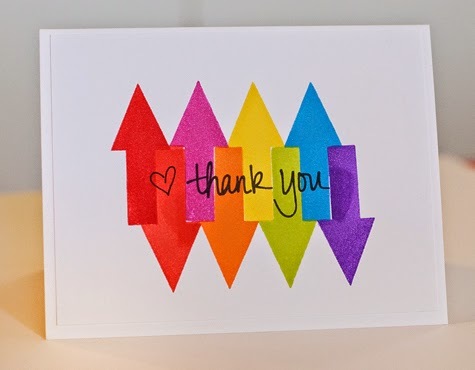 Here's a card I made using the arrow from the above set and a small Thank You set. Follow YES on Facebook, Twitter, and Instagram to keep up with what's new. And check out the blog for ideas and giveaways! Happy Monday! 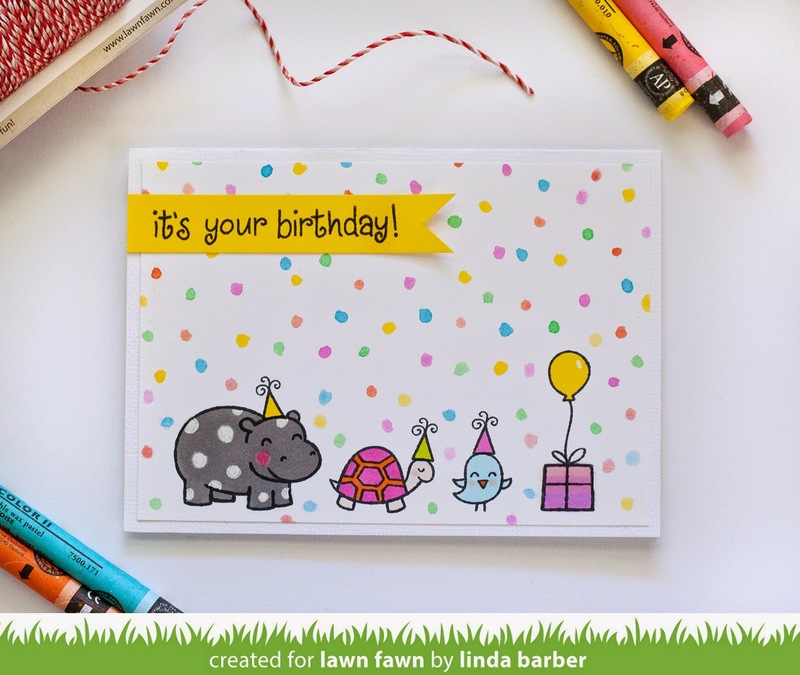 Lawn Fawn is celebrating its 5th anniversary! The Fawnie team is honoring this birthday by posting some special projects. The owners of Lawn Fawn (Kelly, Mike, and Erica) are some of the nicest people ever. They are hard working, generous, and they make the whole team feel like family. with alcohol markers. The confetti is watercolor. Click for a bigger view. A few of my fellow Fawnies are also sharing Happy Birthday projects today. Do go by and say hello! Thanks so much for stopping by, and party on! Hello hello! Since I've been a slacker-blogger, I have some projects that I haven't shared. These are some of the ones I created for Technique Tuesday's CHA 2015 release. 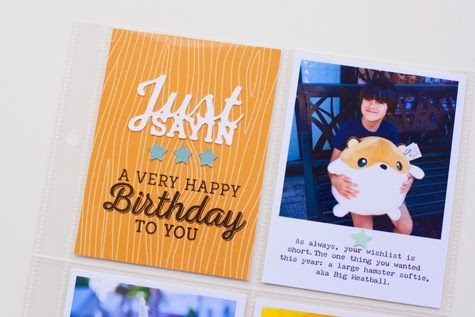 This layout uses Real Story and Here & There stamp sets, as well as the Hexagon die cut set. 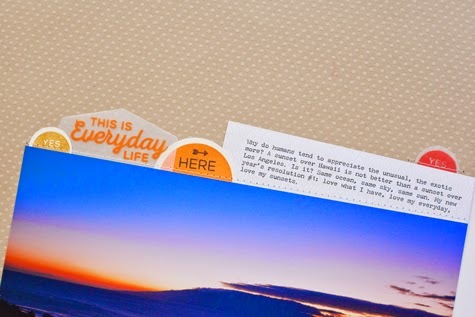 I used a little vellum for the "this is everyday life" stamp. I got the best results using pigment ink, but I did heat set it afterwards. That's gold ink, y'all! Love Tsukineko's Delicata gold ink. So good! I twice tried getting into the whole pocket scrapbooking thing, but it never stuck. After doing this page, I think I might try again. I think my problem was that I was setting too many rules, and using too many products. 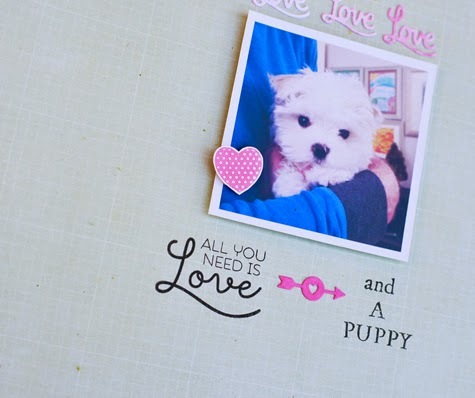 Technique Tuesday has so many awesome pocket scrapbooking dies and stamps! For this project, I used Time Of Our Life and Hi There stamps sets, and the Just Sayin die. Thanks for stopping by! See you again really soon. Hi, friends! 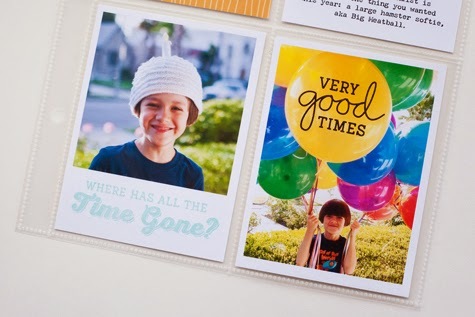 Lawn Fawn is teamed up with Scrapbook Adhesives this week for a fun blog hop. 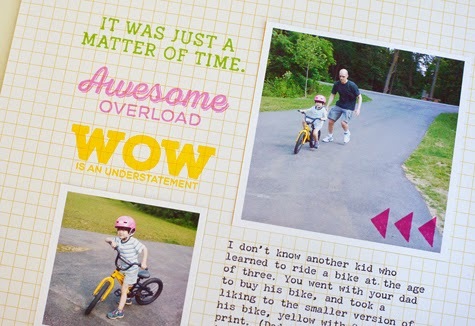 Scrapbook Adhesives are the makers of my most favorite foam squares. I love the rounded corners, I love how easily they come off the backing sheet. I love the dimension it gives my projects, it's just the perfect height. I'm pretty much addicted to those things, and I have to have at least a few sheets at all times, otherwise I start to feel a bit stressed out. I realize that's a bit weird, but I'm keeping it real here (hee hee)! 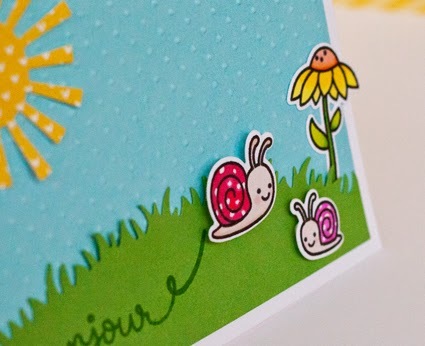 Snail trail was created with Versamark, Ranger Perfect Medium pen, and clear embossing powder. 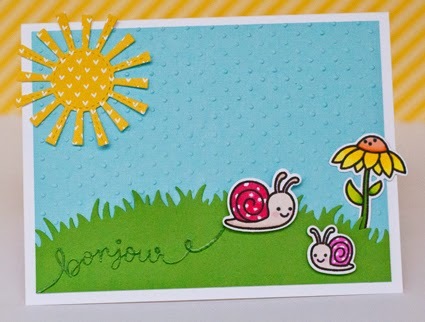 This card was made with the newly released Gleeful Gardens and its matching dies. I also used the new Grassy Cupcake Liner die (as the hill). The sun is a die from the Spring Showers set. Sorry for the super grainy photos. Dark, light-less day in SoCal. They do exist. 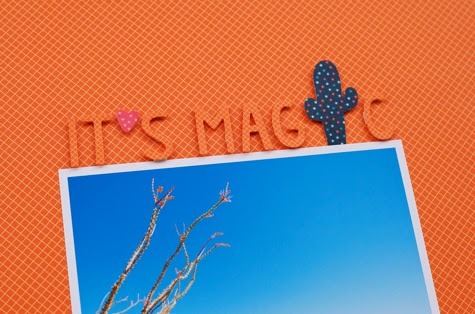 Please go by the Lawn Fawn and Scrapbook Adhesives' blogs for more projects and to win prizes!